A 1997, Omega Sofa has aged for more than 15 years with its specialization in designing, developing and mass-producing of upholstery sofas that living a belief. It is not one but a combination of great souls and works to make an exceptional piece. Backed with ISO 9001:2008, we are a sofa maker works more than standard. The commitment and the essences of evolution and innovation have led us to continue improvement which is portrayed in our fine craftsmanship. A good product isn't what we see in eyes, is what we see behind. Our persistence over the years has been bringing us to who we are today. 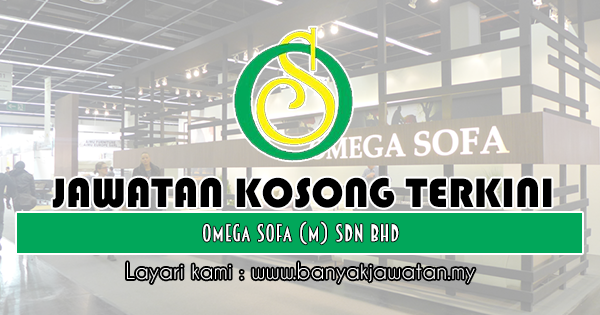 0 Response to "Jawatan Kosong di Omega Sofa (M) Sdn Bhd - 14 Disember 2018"